In the seventh episode of Youth Culture Killed My Dog, Roy Rogers and Jeff Kusterbeck discuss the latest news and reviews in American pop-culture – comics, movies, and television. Over the course of just under one hour and forty-five minutes we discuss Stephen Colbert moving to CBS, Star Wars: Episode 7, X-Men Days of Future Past, and episodes two and three of the fourth season of Game of Thrones. This episode contains major spoilers for both GoT and A Song of Ice & Fire. In the sixth episode of Youth Culture Killed My Dog, Roy Rogers, Christopher Fannon, and Jeff Kusterbeck discuss the latest news and reviews in American pop-culture – comics, movies, and television.Over the course of just over two hours our topics include: Captain America: the Winter Soldier, Moon Knight by Warren Ellis and Declan Shalvey, the series finale of How I Met Your Mother, Attack on Titan, and a detailed, spoiler-filled review of the fourth season premiere of Game of Thrones. 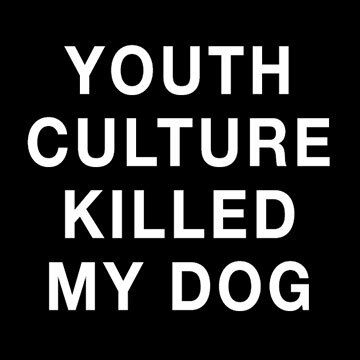 Welcome to the very first episode of Youth Culture Killed My Dog, the internet’s most necessary podcast. This time out Roy Rogers, Tyler Oyler, and Jeff Kusterbeck discuss what they are most looking forward to in pop-culture over the course of this year. For just under one hour and twenty minutes they debate the latest season of Parks & Rec, Downton Abbey, Captain America: Winter Soldier, X-Men: Days of Future Past, the Star Wars license moving to Marvel, the value (or lack there) of the new generation of video game consoles, D&D 5th edition, the latest from Marvel.NOW, and Roy employs a very tortured metaphor for what it is like to experience each season of Game of Thrones. General information about the podcast can be found here. As this is our very first episode we ask for patience as we work out technical and editing issues with our audio. You can click here to listen to the mp3 in a new window or right-click to download and save for later. We hope to have an iTunes feed available soon. UPDATE! We now have an iTunes feed. Detailed show-notes are available below the fold. We welcome comments, questions, and feedback in the comment section below or by email or at yckmdpodcast[at]@[at]gmail.com. Thank you for checking out Youth Culture Killed My Dog and keep listening!